"Thank you for all the care, love and support you have given throughout the past year. He has loved his time with you and it has made it easier for me leaving knowing he is so happy"
"Thank you for looking after our beautiful girl like she is your own. She has always been happy and busy at nursery. She will be sad to leave you but due to Stonecroft’s loving and caring ethos she is ready and excited to be going to school"
"Thank you very much for all your hard work and the excellent care you have given. She has enjoyed her time with you all, made lots of new friends and learnt a great deal. I am sure she takes with her lots of wonderful memories." 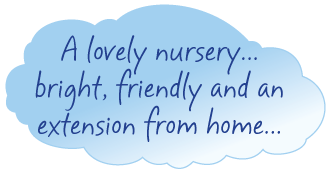 "What makes a great nursery? The Staff! How to keep Stonecroft great? Don’t let anyone leave (or retire)"